ANN ARBOR, MI – The Thomas More Law Center (TMLC), a national public interest law firm based in Ann Arbor, Michigan, announced that yesterday (12/30/12) Federal District Court Judge Lawrence P. Zatkoff of the Eastern District of Michigan, granted its Emergency Motion for a Temporary Restraining Order of the HHS Mandate. 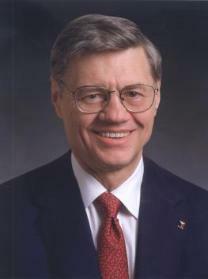 The motion was filed on behalf of Tom Monaghan. Judge Zatkoff’s ruling effectively halts enforcement of the HHS mandate against Monaghan and his property management company, Domino’s Farms Corporation of which he is the owner and sole shareholder. Domino’s Farms Corporation manages an Office Complex owned by Monaghan and is not to be confused with Domino’s Pizza. Monaghan sold the Pizza company in 1998 and has no active affiliation with it at this time. The HHS mandate refers to regulations adopted by the Department of Health and Human Services that forces employers, regardless of their religious convictions, to provide insurance coverage for abortion-inducing drugs, sterilization, and contraception under threat of heavy penalties. Click here to read Judge Zatkoff’s entire opinion. Erin Mersino, TMLC’s lead counsel on the case filed the original complaint for Declaratory Judgment and Injunctive relief on December 14, 2012. On December 21, 2012, Mersino filed the Emergency Motion for Temporary Restraining Order. Judge Zatkoff issued his ruling amid a flurry of briefs and supplemental pleadings over the Christmas Holiday between Erin Mersino and the Government’s attorney. The need for quick resolution was clear—on January 1, 2013, Tom Monaghan would be forced to choose between violating his religious beliefs and violating federal law. For purposes of the emergency Motion, Judge Zatkoff focused only on the claim brought under the Religious Freedom Restoration Act. He held he did not need to engage in a separate discussion of Plaintiffs’ Constitutional right to the Free Exercise of Religion since both theories seek to protect the same liberty interest—the free practice of one’s religion. The Government is expected to appeal Judge Zatkoff’s ruling.